And don't insult by calling them puri.. 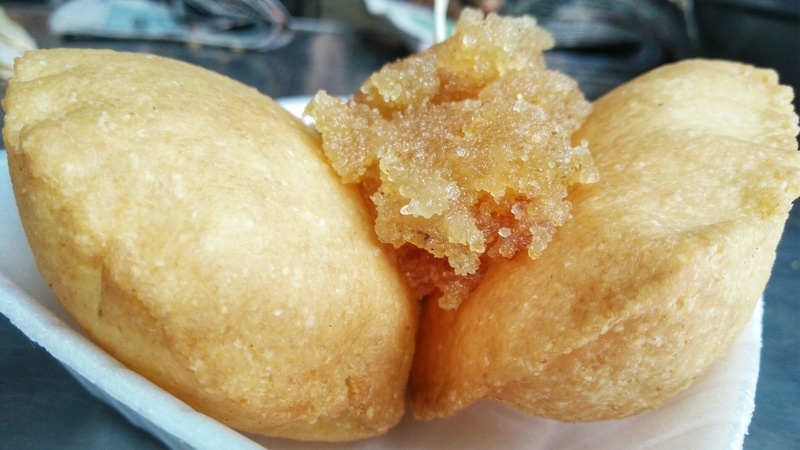 These are Halwa Nagori or Halwa Mathri from Ram Swarup Halwai in Sita Ram Bazaar of Old Delhi. And yes - this is the standard portion size - Rs.10 for 2 nagori with a helping of Halwa..
Anjali Ahuja wow! 10 bucks... absolutely fab!